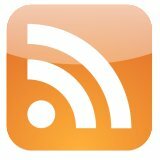 Welcome to the All Access RSS Feed Section. Here you can grab or sign up for any of our various RSS feeds. Made easy, simple and friendly to receive content updates in My Yahoo!, Newsgator, Bloglines, Google Reader, NewzCrawler, FeedDEmon, Omega Reader, Sharp Reader, NewsGator, and other news readers through FeedBurner. Add them to your Internet Explorer, FireFox, Google Chrome, and Safari Browsers. Or receive them in your Outlook, Outlook Express, and other email clients. Additionally, you can easily add our feeds to your WordPress, Joomla, Drupal, and other Blogs or websites to keep your visitors best informed. Stay on top of the latest breaking daily music and radio industry news with All Access RSS feeds as it happens and Bookmark this page to check back for future feeds and updates.